Some preachers think their job is done when they voice a truth, but truth must also be applied and experienced in loving relationship with God and one another, or it remains inert abstraction. What occurs when you eat a jelly sandwich? Your hands hold it; your mouth chews and swallows it; glands yield enzymes to digest it; blood transports it through arteries to your muscles to do productive work. Many organs work in harmony. What happens when you eat a good theology sandwich? Your ears or eyes gather it from the Word of God; your mind evaluates it and compares it to other truths that you have experienced. Your lips discuss it with other believers who put the truth into practical action. Nutritional theology sandwiches combine a variety of truths that require interacting with other people to do the corresponding duties. I’d sell it to a museum! What the evangelist Billy Sunday rejected was the fragmented theology that unwise educators inflict upon scholars. Sunday’s relationship with God was too dynamic and life changing to let Him dissect the Almighty into analytical lists of abstract attributes and operations. That would be like trying to appreciate the Mona Lisa by defining the pigments of its paint. Jesus and His apostles never taught about God by using abstract Latin and Greek nouns to define doctrinal categories. With all respect to Mona, the portrait that believers prefer to study is of Jesus, the visible image of the otherwise invisible God (Col. 1:15). We do not meet Christ by indexing details of His Person and work; we enter into a relationship with Him. Many believers cannot bear the dogmatic, one-way communication of abstract truths in traditional churches, and seek a more relational worship experience in small groups or house churches. Integrate theological truths not only with each other, but also with parenting, earning a living, serving the needy and praying. This integration is not just a mental exercise; it interacts with believers, applying God’s truths. Traditional systematic theology dissects God, isolating “ologies”’ as though we could understand each one by scrutinizing it by itself. Doctrines treated analytically in a linear way seldom flow from one person to another, unless the persons are trapped in a classroom. The prophets, Jesus and His disciples never approached God’s truth in a linear, disjointed way. Some academic professors teach what they wrongly call “Systematic”, isolating truths in the traditional, fragmented manner. True “system” is defragmented; Webster calls a system “An assemblage of objects united by some form of regular interaction or interdependence; an organic or organized whole; as, the solar system; a communications system.” To isolate doctrinal details opposes system, which seeks a comprehensive view of God, His work and our responses. We find this wholeness in our Lord Jesus Christ, the Head “in whom all things exist and hold together”. An assembly worker hits the wrong switch and the conveyer belt for an army tank assembly line goes in reverse; confused workers disassemble canons, gears and tracks instead of assembling them. Similarly, analytical abstraction and isolated categories disassemble God’s truth. Like the apostles, wise theologians link God’s truths, church, duty and morality. Unlike other religions, biblical truths build on accounts of God dealing with people experiencing real historical events, and the Holy Spirit uses these accounts to move believers to act. Integration goes beyond merely keeping several things in mind. The Holy Spirit produces agape love that harmonizes different interests, spiritual gifts and cultural differences (1 Cor. Chapters 12 & 13, integrated). A church body comes alive when different spiritual operations interact. Observe plants, people, animals and landscapes; all nature displays the Creator’s passion to harmonize variety in integrated systems. The universal Church, the bride of Christ, is beautified by integrating the distinct features of thousands of ethnic groups whose identity is maintained throughout eternity (Rev. 7:9-10). Fragmented theology is left-brained– linear, logical, exacting and detailed. However, integrated theology is not right-brained (big picture, imagination, variety, movement, association); it links both lobes. Normal thinkers sees relationships between truths and actions by using both brain lobes as God intended — if schools have not educated this ability out of them. Combine teaching with other vital ministries. Avoid taking up all the time in a meeting with a monologue. Let believers discuss the teaching, ask and answer questions about it, and plan how to apply it during the week. Teach doctrine and duty together (Eph. 4:11-16; and 2 Tim. 3:16-17). Let a small group do different ministries; do not isolate all ministries in separate programs. Avoid having groups merely do Bible studies; truly biblical teaching practices the “one another” commands, serving and teaching one another, never eclipsing but always enhancing others’ ministries. Let Jesus be the unifier, Head of the body not only in a theological sense, but because the body obeys Him. “In Him you are made complete; He is the head over all rule and authority” (Col. 2:10). Avoid the arrogant ‘omniscience’ of some teachers who always have the last word. When teaching a Bible passage, doctrine or topic, bring in related truths and tasks as Jesus and His apostles did. They never limited their teaching to verse-by-verse exposition or purely doctrinal teaching. Philip explained Isaiah 53 to the Ethiopian official by adding the New Testament message about Jesus and baptism. The Holy Spirit’s application of Jesus’ work to our lives, empowering us to do the corresponding duties. 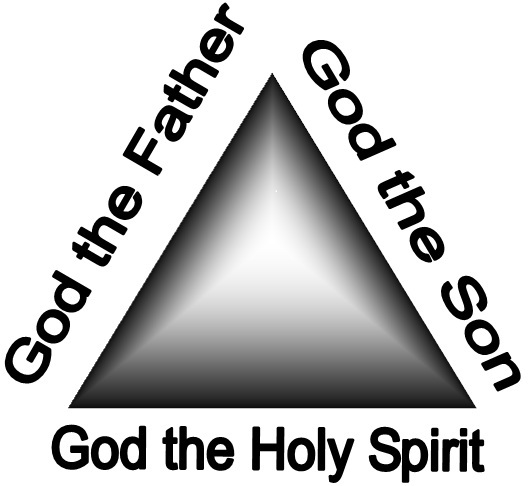 All key biblical doctrines connect to Father, Son and Spirit. For example, baptism in the Name of the Father and of the Son and of the Holy Spirit ties a believer to each of the three divine Persons. Old Testament events revealed God’s attributes and eternal decrees. Gospel events revealed Jesus the Living Word of God, fulfilling the Father’s decrees, and living out God’s eternal attributes in the flesh within time and space. Acts, letters and Revelation show the Spirit empowering believers to apply God’s truths in practical service.